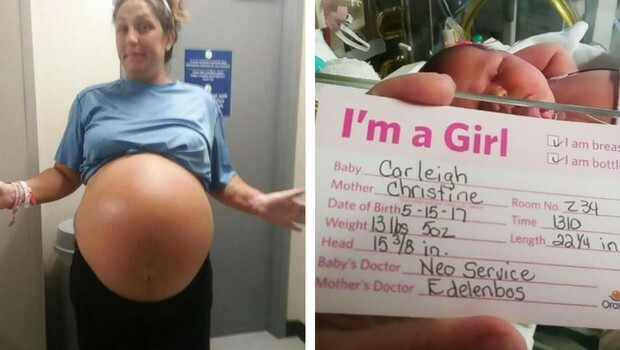 On May, 15th, Chrissy Corbitt delivered quite a big surprise to this world and immediately, she and her little bundle of joy kind of took over the internet. “When the doctor was pulling her out of me I just start hearing them all laughing and excited in the operating room,” Chrissy told ABC News. “They were throwing out numbers and when they showed her to me and said 13.5, I couldn’t believe it. It looked like they pulled a toddler out of my belly. She’s so big”. 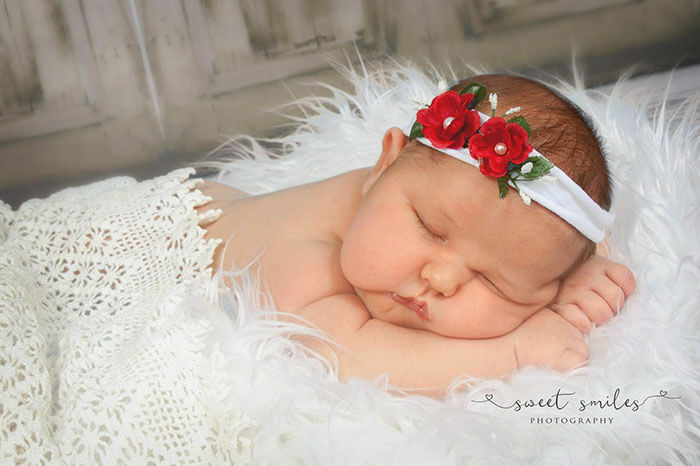 Baby Carleigh was born at Orange Park Medical Center. 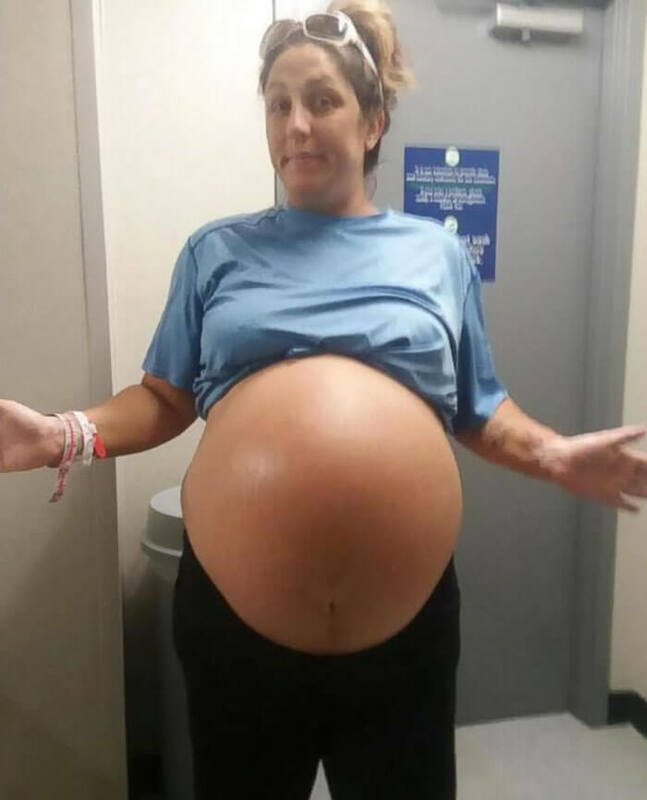 The proud parents, Chrissy and her husband Larry Corbitt, who are already parents to four children, had no idea just how large of a bundle she was. 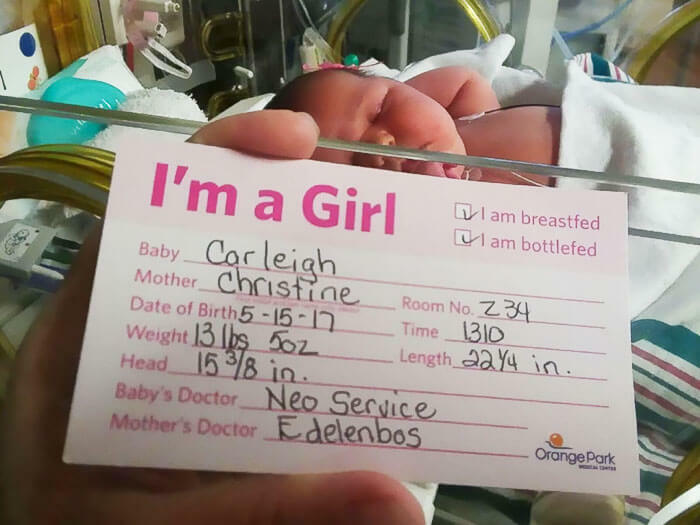 Chrissy’s baby girl seems to be an early bloomer, as she weighs 13 pounds and 5 ounces; that is about 6 Kg, the exact weight of a 6-month-old baby. The little “big” lady has kind of destroyed her parents’ preparation for her arrival, as she is a little bit to big for the “job of a newborn”. 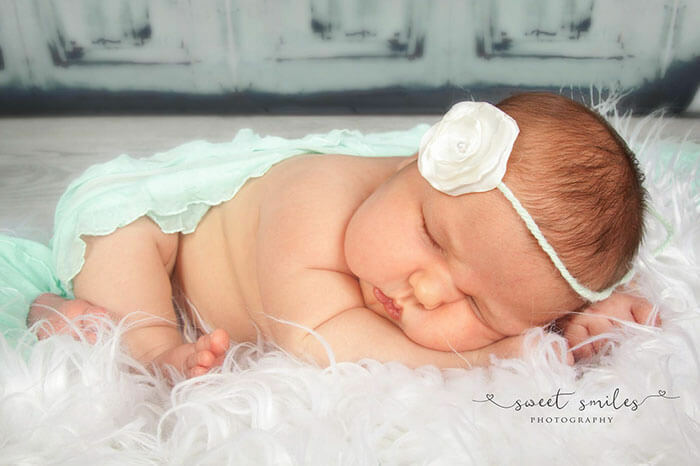 “We even contacted Pampers and Huggies to help us out because everything we got to prepare is just out the door. None of it fits. She’s in size 3 diapers. The clothes she had on yesterday was a 9-month outfit. She’s huge.”, said Chrissy Corbitt. 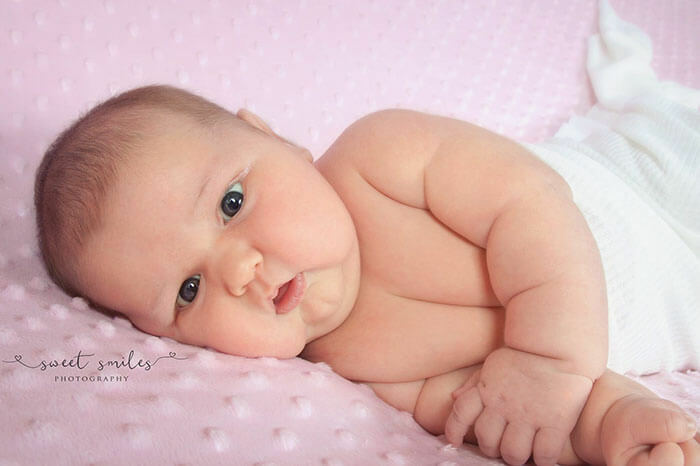 The father, Larry Corbitt also recalls the moment: “Her cheeks were so chunky and she was just so fat. She was so gorgeous, of course”. 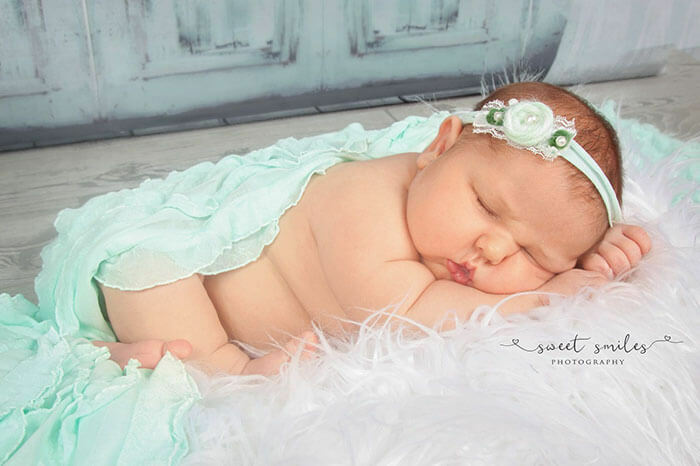 To celebrate the birth of their daughter, parents Larry and Chrissy decided to have a sweet photoshoot with photographer Debbye Benson of Sweet Smiles Photography Studio. You can check out the pics below. 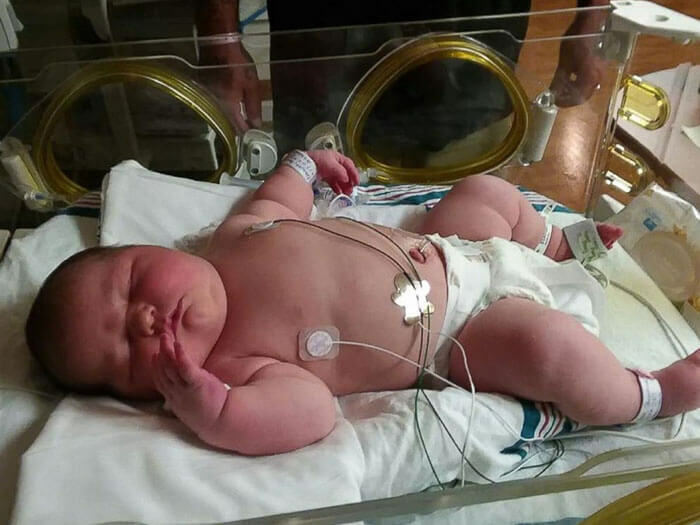 The mom says that when the doctors pulled her out they were throwing numbers around and when they showed the baby to her, she couldn’t believe it. Next Story → Is This a Solar Egg Or Public Sauna?